KPMG is a global network of professional services firms providing Audit, Tax and Advisory services. KPMG China has collaborated with Blue Sky to actively monitor energy usage, engage their staff and implement energy conservation actions. Our goals are delivering a strong and quantifiable business case, increasing staff engagement, identifying technical upgrades and increasing delightful moments such as team-based interactions and events. Through running initiatives driven by data from the smart sub-meters, KPMG China has achieved energy saving results up to 18% at their offices within 3 months. 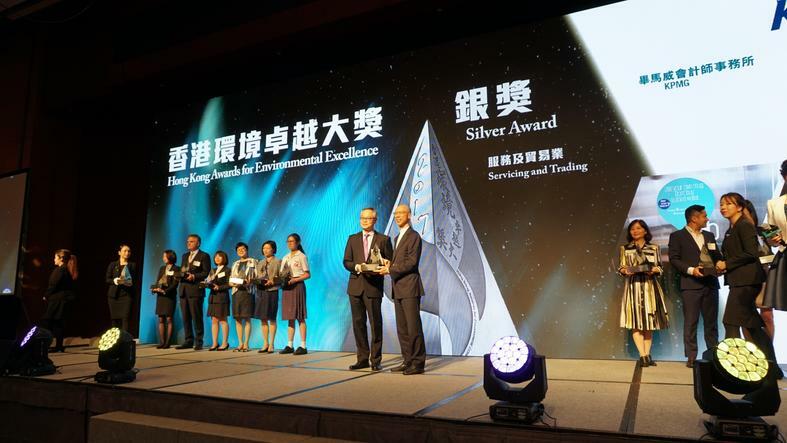 With the visible results, KPMG has received the Silver award in the Servicing & Trading sector at the Hong Kong Awards for Environmental Excellence (HKAEE), one of the most prestigious and reputable award scheme in Hong Kong. Establishing the Environmental Management Task Force, and the Green Warriors interest group to drive environmental initiatives and promote greater environmental awareness respectively." We collaborate with the management, staff as well as administration team throughout the process. Blue Sky followed user-centric design principle and used data-driven approach to ideate and prioritze actions. For example, we spoke with staff members working at KPMG China to understand user needs on a personal level and to design solutions that are both desirable and viable to implement. The real-time analytics notify and recommend actions for our users incorporating their ongoing feedback. We have also set-up an eco-themed area and launch a starter kit to drive organization-wide behavioral change. The starter kit provides people with reminders that are visible and concise so they gain understanding and receive validation of the impacts of their behaviors. The data is also used to identify and prioritize actions so the organization can optimize energy consumption systematically.